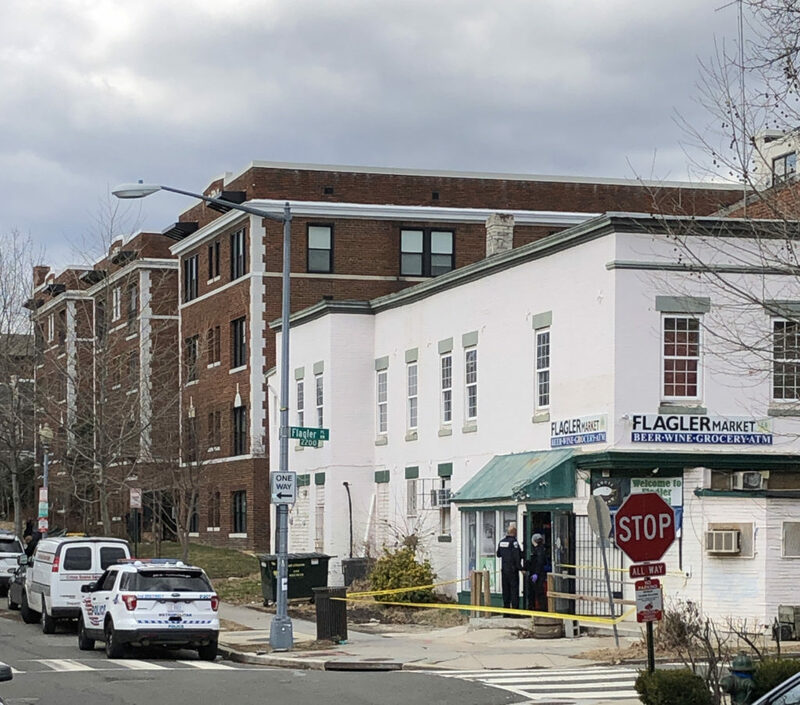 “At approximately 10:50am, a robbery was reported in the 2200 block of Flagler Place NW. 2 suspects entered the store and assaulted a individual inside before taking US Currency. Suspect 2: B/M,50 years of age, black hooded jacket, blue jeans, tan work boots.